Power Boat Parking for those boys & girls who love water boats drive but here in Power Boat Parking game you can learn boat parking. You must have played car parking, truck parking, trailer parking, and bus parking kind of games but in this game you will master you power boat parking. It is of course not necessary to have a boating license to play power boat parking like you should have car driving license, truck driving license or bike driving license. Remember, before you start power boat parking, boat driving is a completely different way than any other automotive driving. 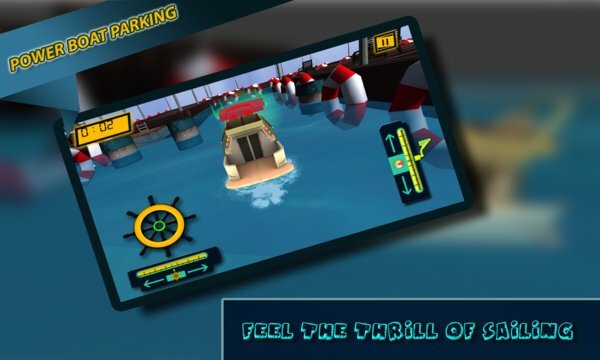 In power boat parking you have to learn how to control the boat and use all your skills to overcome various obstacles to complete the levels in a limited period of time and space. Take the boat from start point to the parking point. On your way there are a number of hurdles and turns, so drive carefully to park the boat. There are no pirates in this game, but surely there is adventure & fun! So if you are a fan of car, truck, bus, and other types of parking games, you owe it to yourself to download and try!  High Definition Graphics with realistic sea waters. 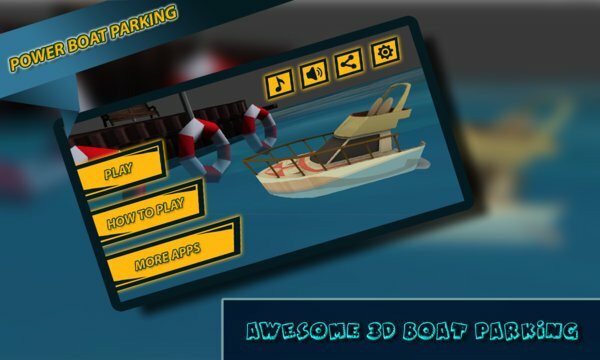  Boat game you haven`t seen yet!  Limited Amount of Time.